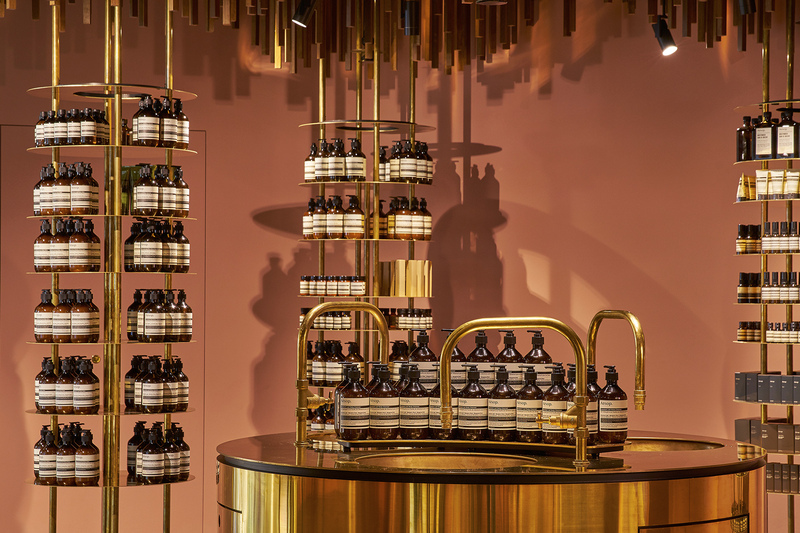 The epitome of ‘Glocalisation’, Aesop’s international expansion could almost be considered subterfuge, the way they ‘quietly’ integrate themselves into established retail districts all over the world. It would be wrong to say that these spaces were obscurely submerged within their retail communities, but their method of integration, connecting the store design with local history, always references such depth – reflecting such cultural understanding – that it is no wonder that the stores are so well received. 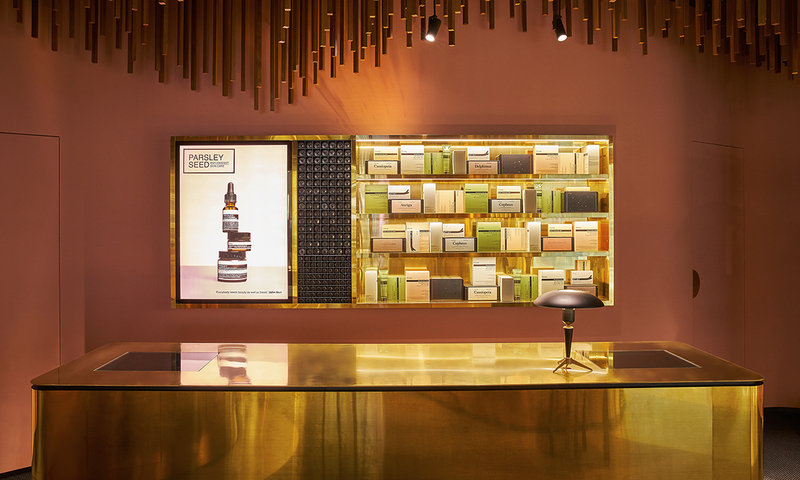 Take for example one of their latest offerings, dubbed ‘Aesop ION’, situated just off the thoroughfare of Orchard Road in Singapore, and designed in collaboration with Nowergian design practice Snøhetta. 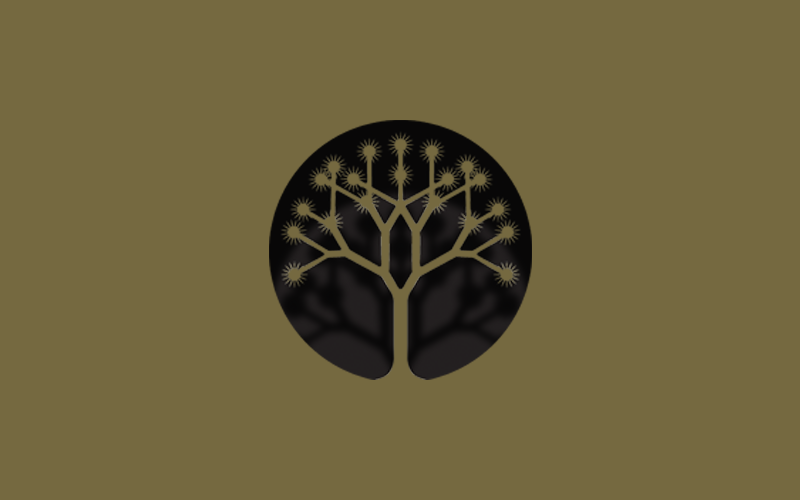 The interior commemorates Orchard Road’s original incarnation as a nutmeg plantation, which lasted until development along the thoroughfare began in the early twentieth century. 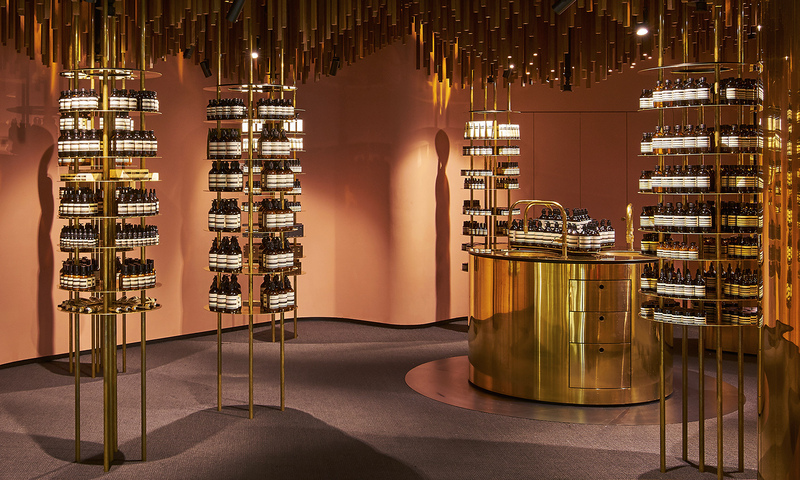 Aesop Ion is a warm, reflective space; the warmth dictated by a plethora of brass piping and shelving, both circumventing and populating the store in equal measure, while the dusty pink colour of the walls provide the perfect temperate enclosure. 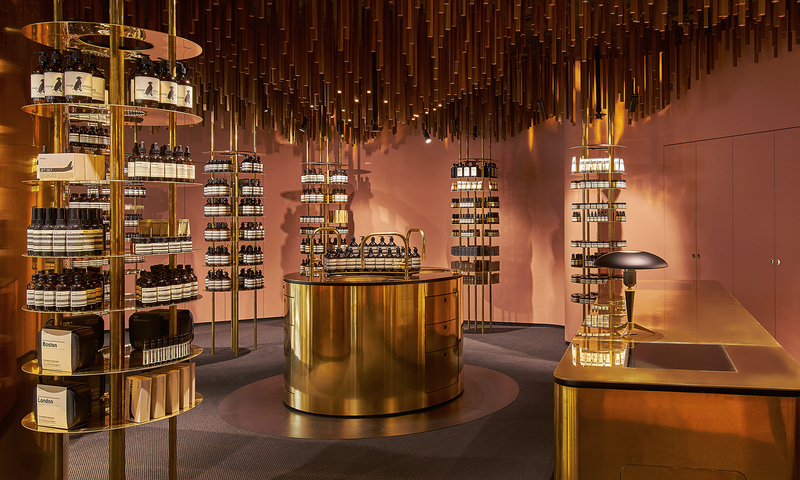 The concept of forestry is interpreted using densely arranged thin timber battens hanging from the ceiling, with the round brass shelving representing the tree ‘trunks’ as you would expect to see them, holding up the dimly lit canopy – a masterpiece in design.